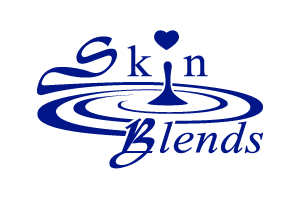 Skin Blends LLC was founded in 1999 by Licensed Esthetician Kathleen Carney, BS, LE, NCEA, CMT, in response to a need for a fragrance-free and color-free custom blending professional skin care system. This allows licensed skin care professionals more latitude to handle the unique needs and preferences of each client. Skin Blends products were formulated by estheticians for estheticians. We constantly study current research and clinical studies to remain up to date on which raw materials to incorporate into our result-oriented formulations. Skin Blends products are manufactured under strict ethical standards using the highest quality ingredients available. We have selected gentle, effective, non-irritating, and proven ingredients that work well for all skin types, including the most sensitive skins. All products have been clinically tested on humans, not animals. Skin care is your passion. Smart estheticians “get” Skin Blends – great retail and treatments products (happy clients!) and great profit and customer loyalty (happy you!). We distribute Cirepil wax and Mineral Blends 100% mineral makeup. More products to come! Most importantly, we offer monthly promotions for you and your clients as well as ongoing training. Let us be your one-stop solution so you can concentrate on your clients; NO clients, NO business!